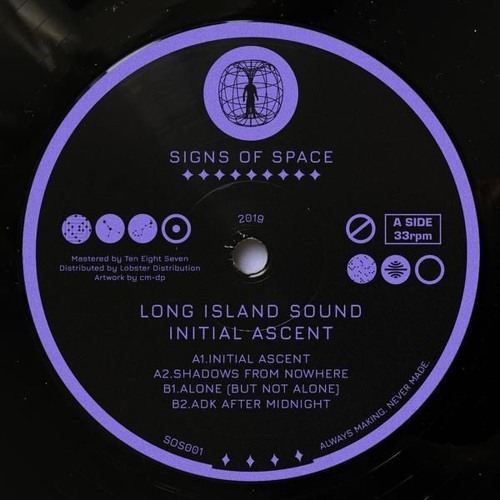 * Read more: https://boltingbits.com/long-island-sound-shadows-from-nowhere-signs-of-space * Watch on YouTube: https://youtu.be/02Z0HvRdgm8 * Pre-order: http://bit.ly/2HLGu7N Shedding their usual sample house roots, Irish duo Long Island Sound are back on their brand new label, Signs of Space. That’s not to say we won’t find any samples on the record, but the direction is wholly different than what they’ve come to be known for in a short span of time. A brave move in today’s underground landscape where one wrong step can land you on a trip to house music irrelevancy. We think Rob and Tim may be onto something here though as the “Initial Ascent” EP is a well produced re-debut. Our premiere today is the A2 track entitled ‘Shadows From Nowhere’. It’s a breakbeat track at its core but the accompanying sounds are testament to the name of the label. Cosmic sounds adorn the piece with lush, spacey pads and a full, deep, bassline. Analog bleeps and bloops further cement the track as extraterrestrial while the emotive strings really add depth and feeling to it. It’s the standout track for us, although you’ll be sure to find similar flavours on the rest of the record. @djcharts: Me too. Big ups! Loving the vibe, top work. @longislandsoundeire: thank you! Look forward to it. Fantastic, but is it available digitally?